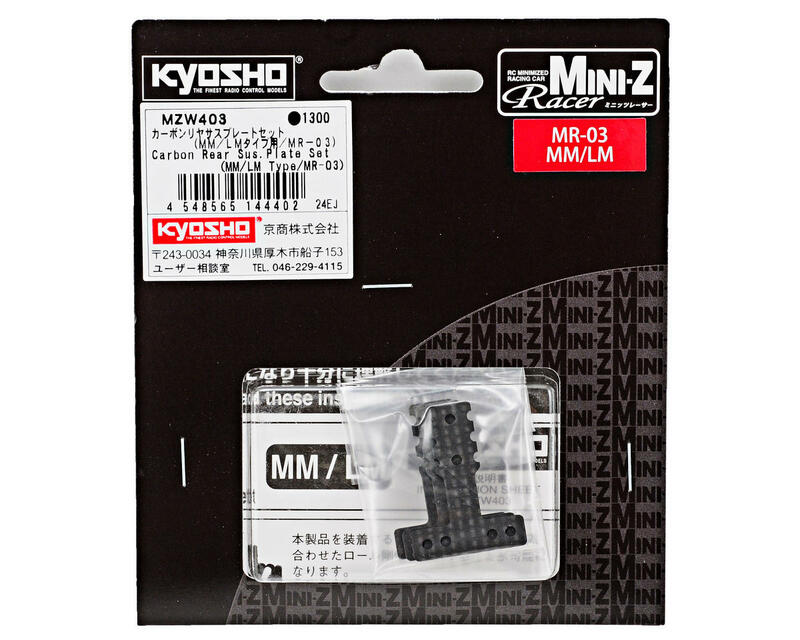 This is an optional Kyosho MM/LM-Type Carbon Fiber Rear Suspension Plate Set, and is intended for use with the Kyosho Mini-Z MR-03 MM and LM-Type chassis. 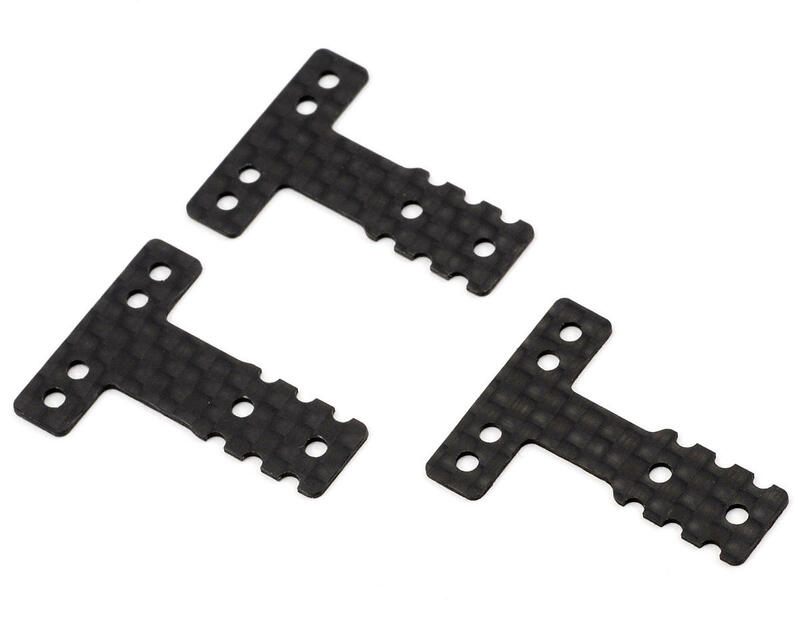 This suspension plate set will increase the rigidity in the rear of the chassis and is ideal for high traction surfaces. Includes three different width plates, each with different levels of rigidity and will allow you to tune the flex of the chassis to suit a variety of track conditions.